"The content of a theoretical physics book and the smell of you cat's pee equivalently have the potential to induce an idea. 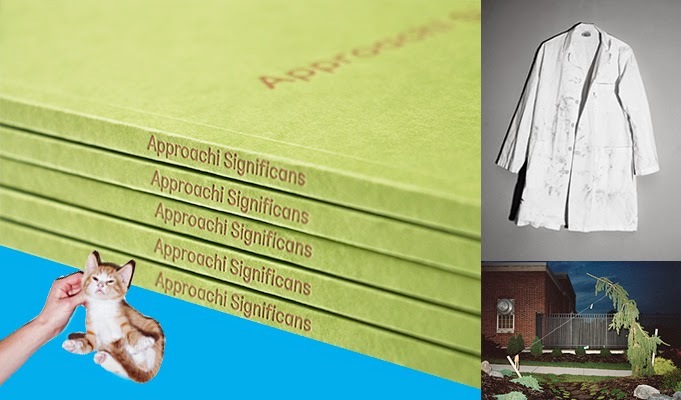 Incoming perceptions become linked to stored perceptions through similarity or context, thus there is typically a traceable mental workflow of A to B to C to D. Approachi Significans is the transcript of A to 7." 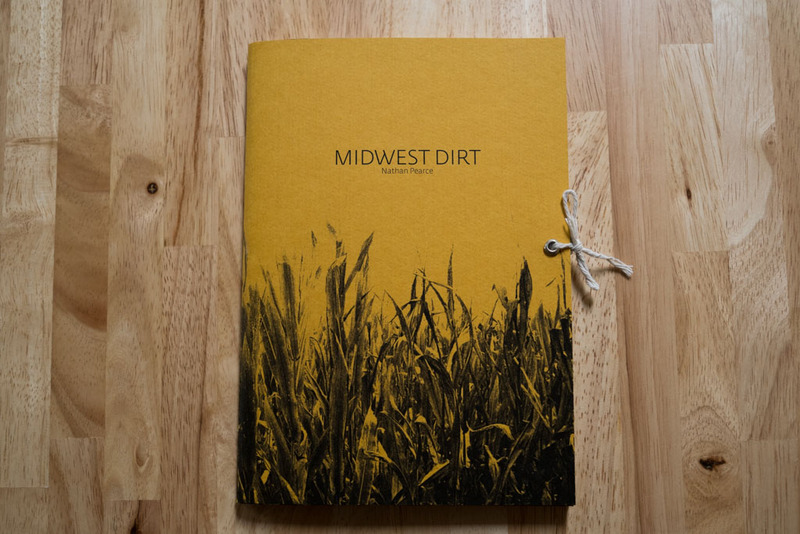 "The hill that wasn't is a small book about an unexpected landscape, designed as a haiku and held together by the writings of Yutaka Takanashi." 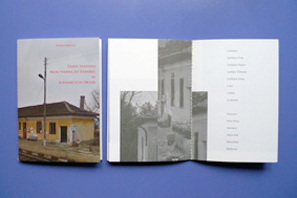 "Biser is Bulgarian village and only one of the many places on the way from Vienna to Istanbul. Biser means pearl in most southern Slavic languages. I do not know why it got this name because it seems the exact opposite of a shiny pearl. 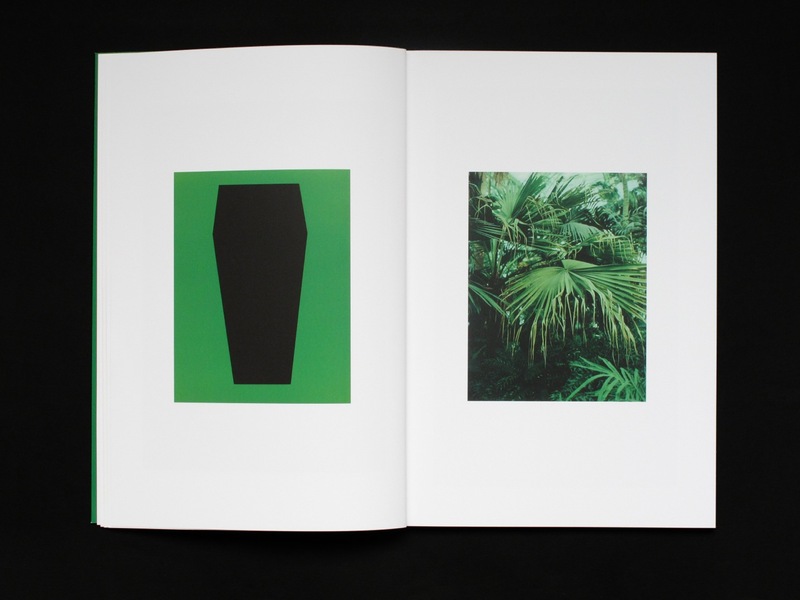 But that's why I like it and that’s why it is the only image in the book." 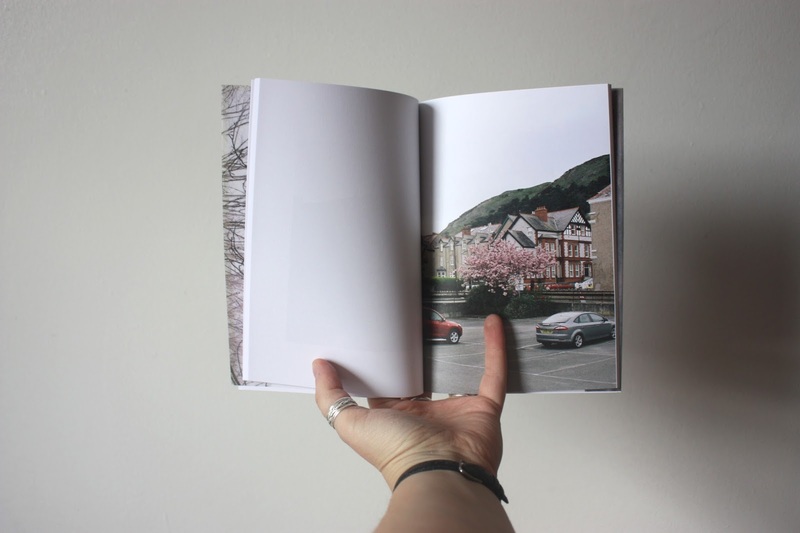 "As the third and final installment of 'The New Town', Volume 3 turns the screw and presents a hyper-specific yet banal view of one citizen as she goes about her day. Ultimately questioning the limitations of privacy and photographic interpretation, this sequence may require multiple reads." "River is a photography project where I propose an analysis and reflection to our emotional relationships, and also our relation with the environment." 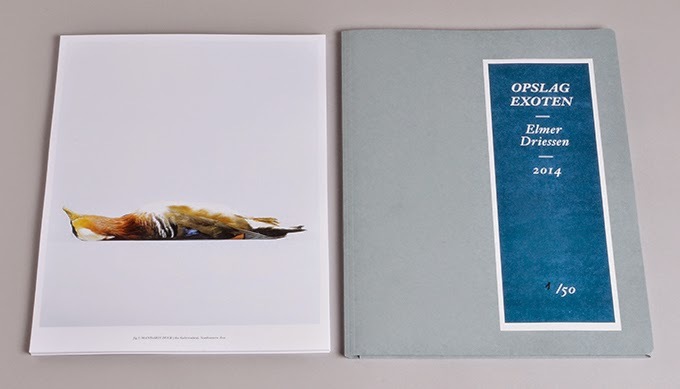 "All photographs are taken from location: N 52°04.283’ E 004°19.463’ GPS"
"The species displayed in this publication are all invasive species found within the city borders of Amsterdam and preserved at biodiversity center Naturalis in Leiden (NL). Photographs were taken at Naturalis throughout the months of October and November 2012, and shot with a Hasselblad medium format camera with digital back." 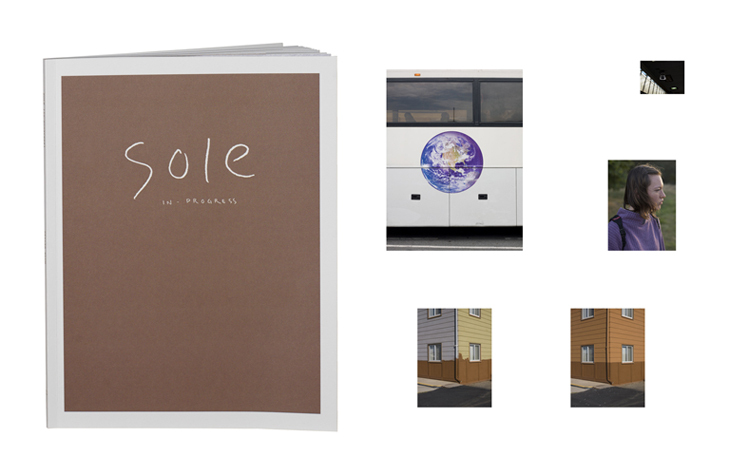 "Sole (in-progress) is an abstract visual poem which describes a pilgrimage through consciousness. The images render this infinite progress or process of finding/realizing a singular all inclusive existence and consciousness as a sort of maze with no ending. Abandon what you know, calm your mind, and feel your own truth. Anything you say is part of the illusion." "During the 14 months that I spent in Bangkok between 2010 and 2011, I stumbled across many objects that had been crafted without any artistic intent, and that, through being photographed, unfolded a strange sculptural quality. The box comprises four series that translate to 'parking place blockers', 'curbside objects', 'squeeze faces' and 'boardwalk backdrops'." 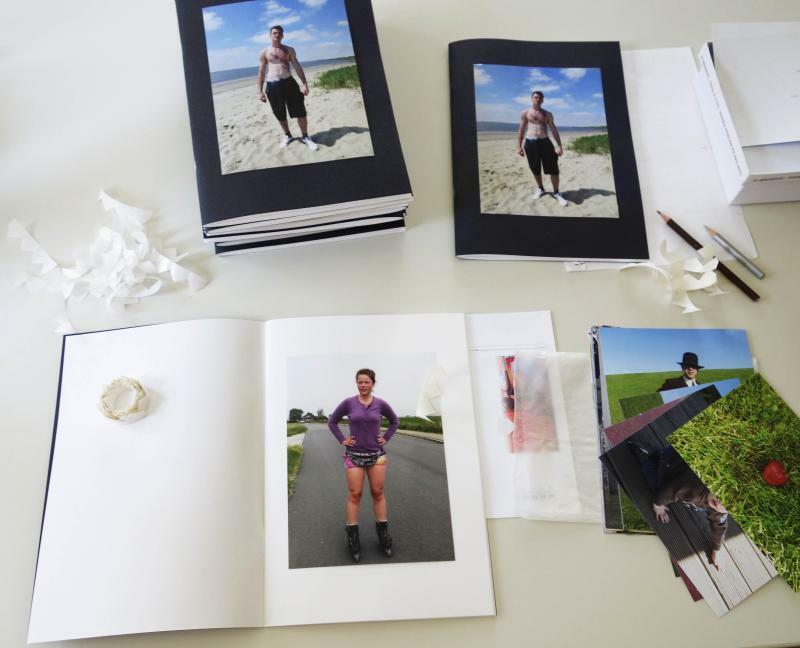 "Herrenreisen 2013, is the photo story of two bike rides of 3 friends in Europe." 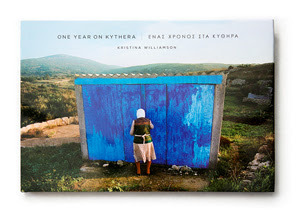 "Kristina Williamson explores the intersection of art, ethnography, and globalization in her close study of the Greek island of Kythera. In intimate photographs that cut across genres—landscapes, portraits, interiors—Williamson explores themes of memory and tradition in the faces of those who stay and the absences of those who leave. These images—shot in gorgeous 35mm film—eschew nostalgia and often probe deeper to a level of the everyday surreal, an ongoing theme in Williamson’s work." 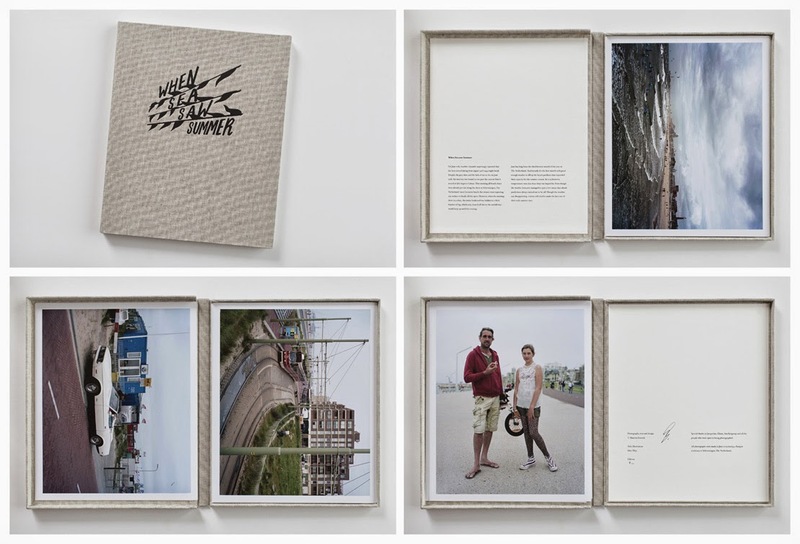 "From miniature cities and portable fish to department store mascots and reflections that smile. 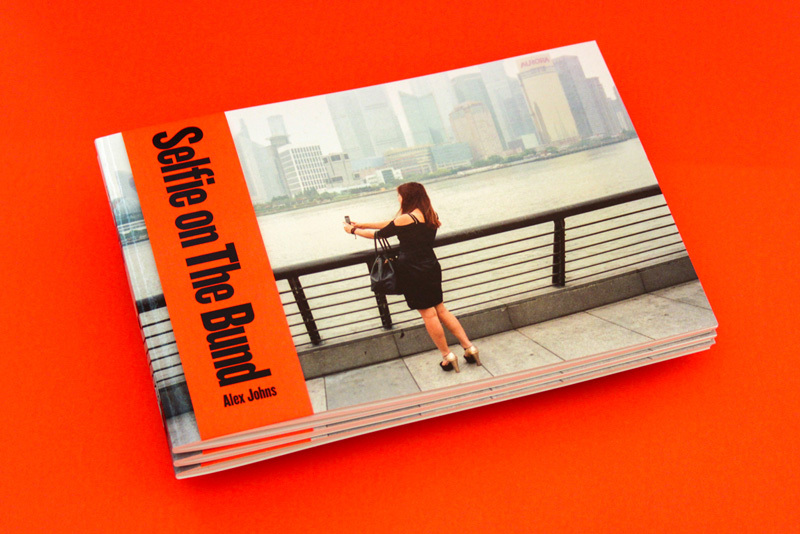 'Selfie on The Bund' is a photo book documenting journeys through the districts of Shanghai." "Sequence of a transition places, two interiors courtyards and a table." "Moving from winter to spring a transition appears. We say goodbye to the brief dark days and welcome the beginning of opportunity. Amongst all of the green, blossom blooms and outshines, creating instant beauty to its surrounding." "Now it’s just after harvest time, my favorite time of year. The fields are almost cleared and I’m barefoot on my porch with a beer in my hand. I can see for miles." "On June 17, weather channels reported that the heat record dating back to august 23, 1944 was bound to be broken. Despite grey skies and limited sun so far, on June 19, the mercury was bound to rise past the current Dutch record of 38.6 celsius. That morning, all beach chairs were already put out across the shore of Scheveningen, The Netherland's most central beach. Bar owners were expecting sunbathers to finally fill the spots. However, the boulevard disappeared into the mist that morning." 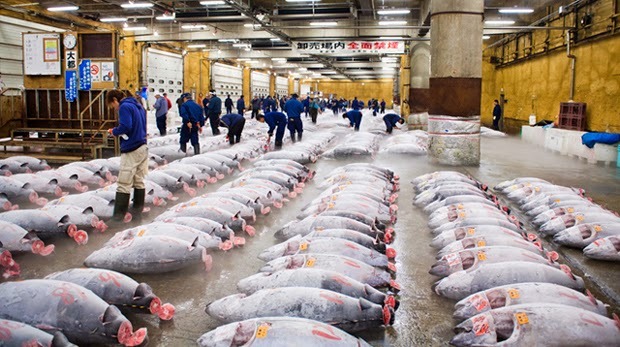 "Tokyo Fish Market" is a self commissioned project by me and my good friend Ken, the writer. We felt the need to produce this book as there are plans to demolish this historic market and relocate to another site in Tokyo, where a new market is currently under initial stages of construction. Access to the auction & wholesale areas has become very difficult recently and tourists are under strict orders not to disturb any of the locals as they go about their business in a highly energized environment with very limited space. Their patience for rubber-necked tourists can wear thin but despite this most are very accommodating. This book is filled with loads of great images that are quite difficult to capture for those not skilled in the art of photography in this type of environment. The book contains valuable statistical and historical information provided by Ken, a tuna broker here on the market for over 20 years." "Three men named Erik have planned to meet for a long time. The problem is that one Erik lives in The Netherlands, one in Germany, and one in Brazil. So the Eriks began exchanging pictures of tables; each one a possible table at which to meet. 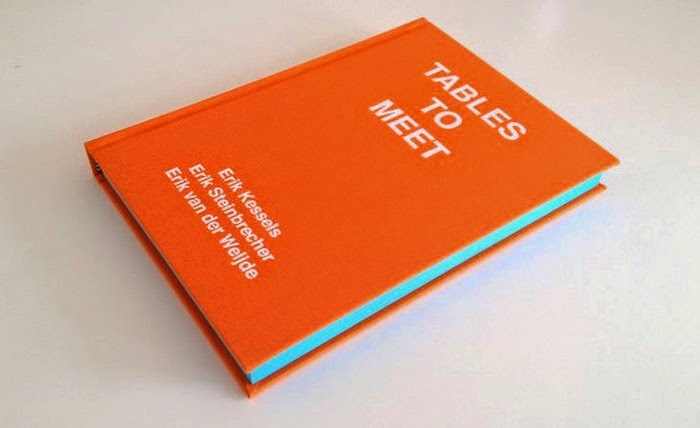 Many, many pictures of tables later, and the Eriks still haven't met." "On 31 January 2013 at about 3:45pm local time, an explosion occurred in the basement of a parking garage adjacent to the main office building of the Pemex Executive Tower in Mexico City, killing 37 people and injuring over 120 more. 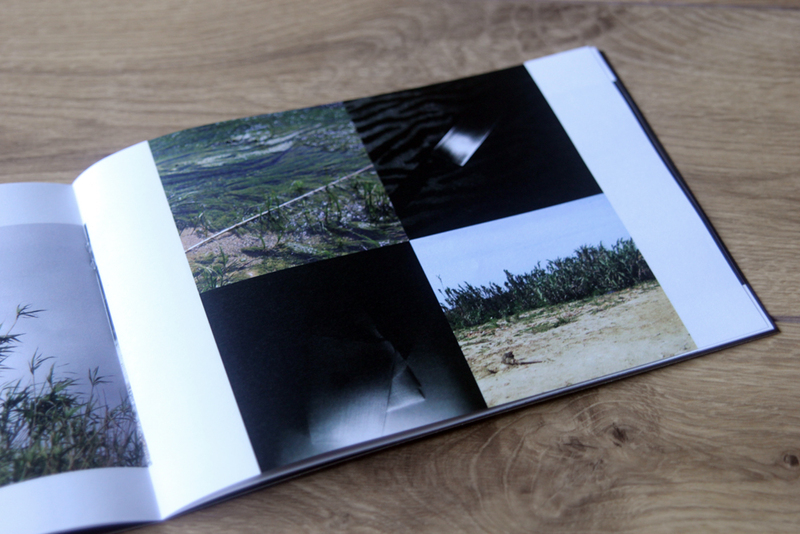 This photobook, part of a new SSK Press series that debuted at The Geffen Contemporary at MOCA for the 2014 Los Angeles Art Book Fair, is a collection of images created the days before and after the blast on a one-week trip to Mexico City. 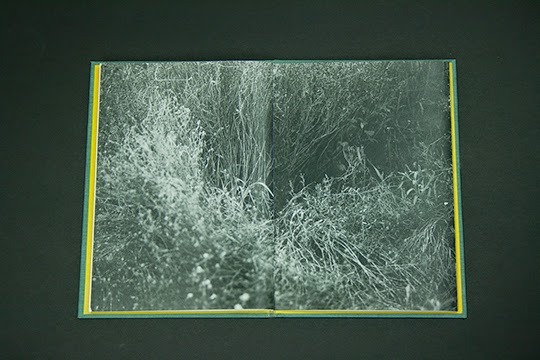 The images were developed using a series of experimental processes involving boiling water, excessive agitation, and intentional fluorescent exposure, which, along with the melted mylar cover and charcoal dusted on each page, gives the book a feeling as though one were looking through the wreckage of an anonymous sea of fire." 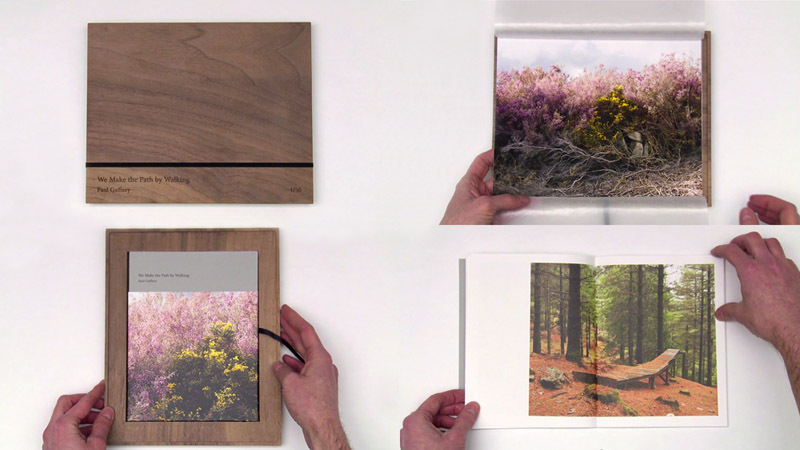 "During 2012 I walked over 3,500 kilometres with the aim of creating a body of work which would explore the idea of long-distance walking as a form of meditation and personal transformation. My intention was to create a series of quiet, meditative images, which would evoke the experience of being immersed in nature and capture the essence of the journey. 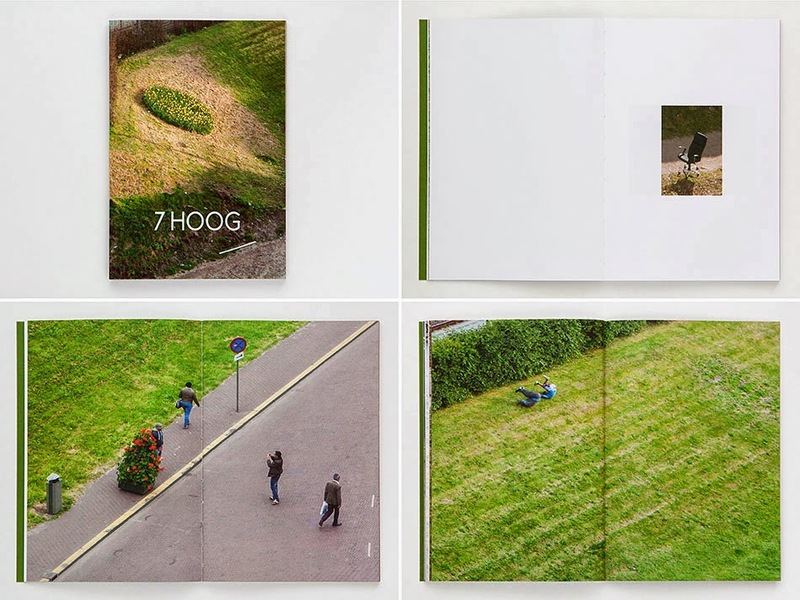 The images seek to engage the viewer in this walk, and to communicate a sense of the subtle internal and psychological changes which one may undergo while negotiating the landscape." 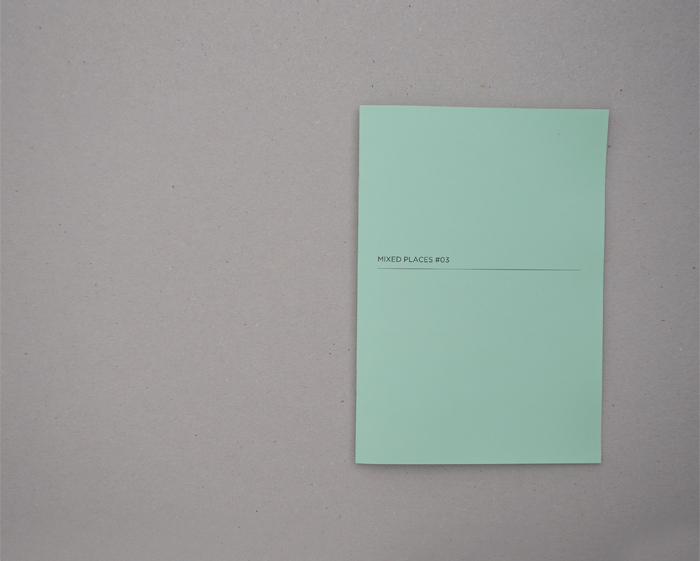 "Sébastien Bonin’s recent work belongs to this movement. Although in the past he has turned his camera to the great landscapes of the American West or to the trivial details of his urban environment, since 2013 the artist has been experimenting since with the photogram technique – considered to be the forerunner of photography – to produce non-figurative photos."